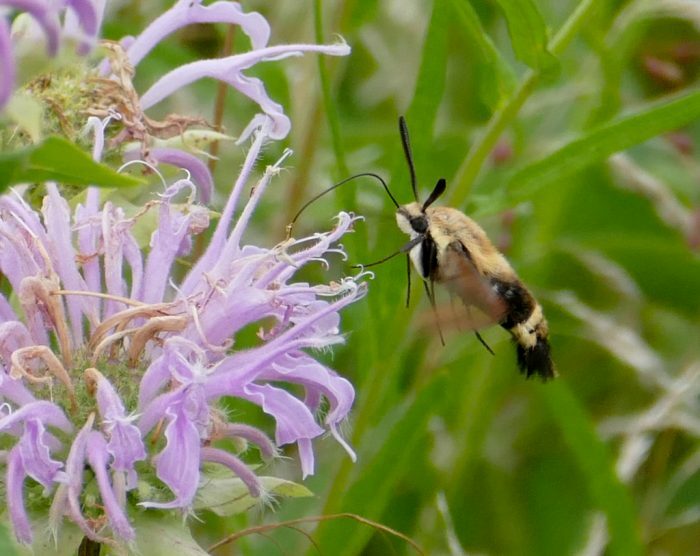 Differs from other Hemaris species by having black legs, a mostly black underside, and a smooth bottom edge of the clear area on the forewings. 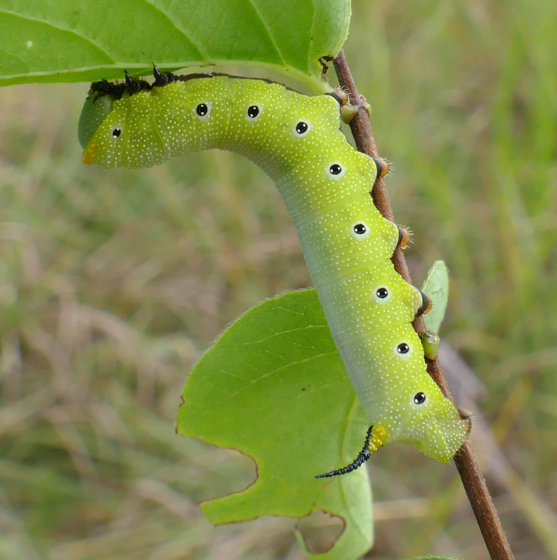 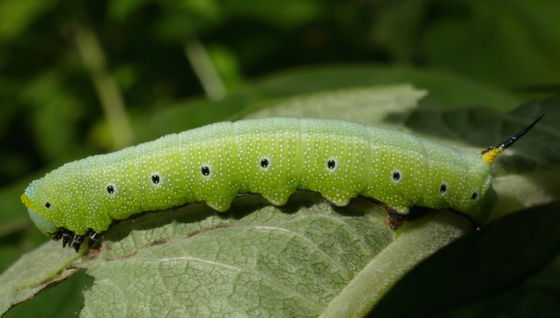 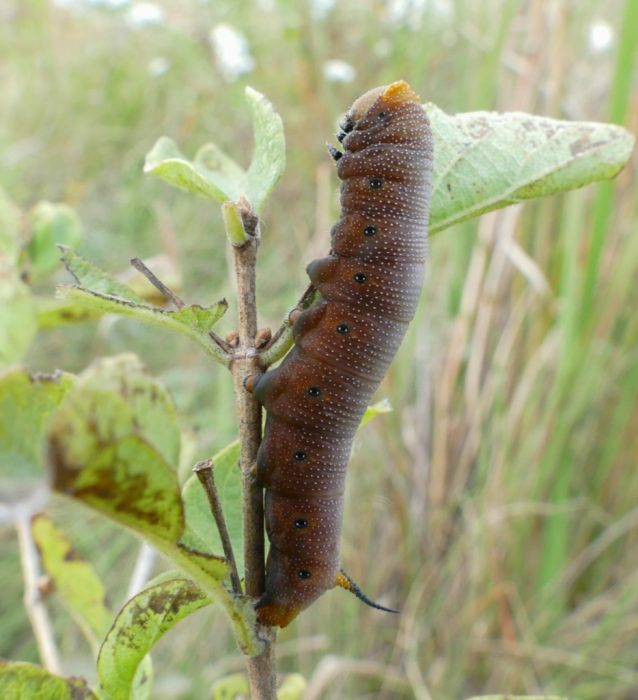 I found 3 Hemaris diffinis caterpillars in 2 days in August of 2014. 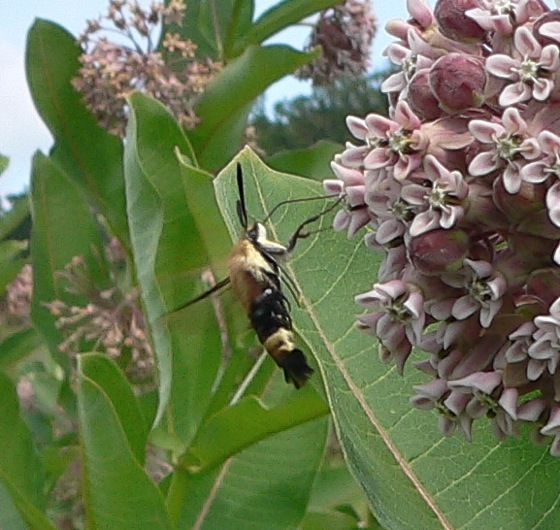 Two on non-native Honeysuckle, and one on Tinker’s Weed (Triosteum perfoliatum).